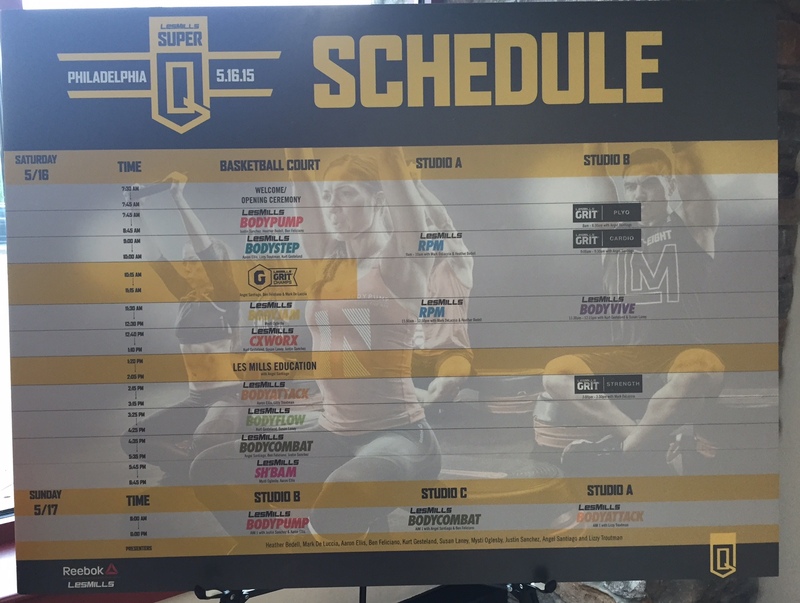 On Saturday I went to my first Les Mills Quarterly! It was about an 1 1/2 hrs away and I got to go with my friend Steph! I’ve been looking forward to this for months! 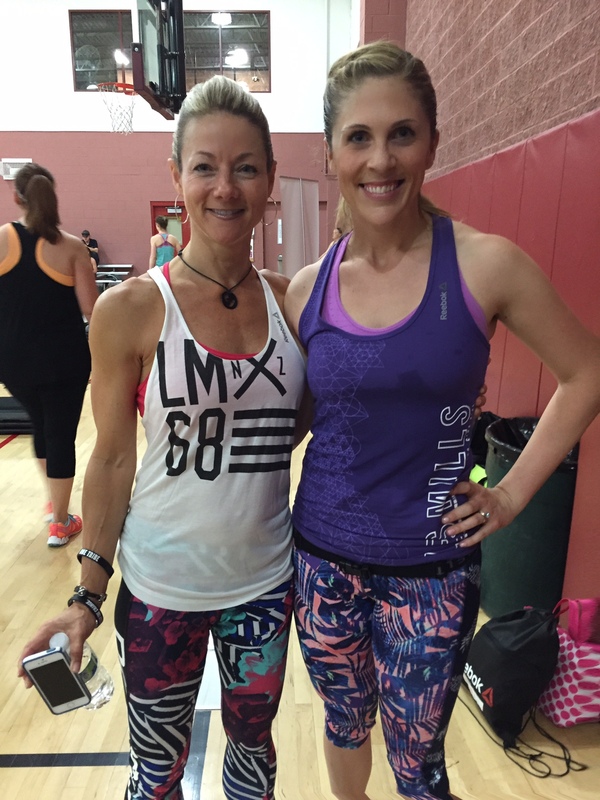 *Susan Laney was my BODYFLOW trainer for my initial training in January!! 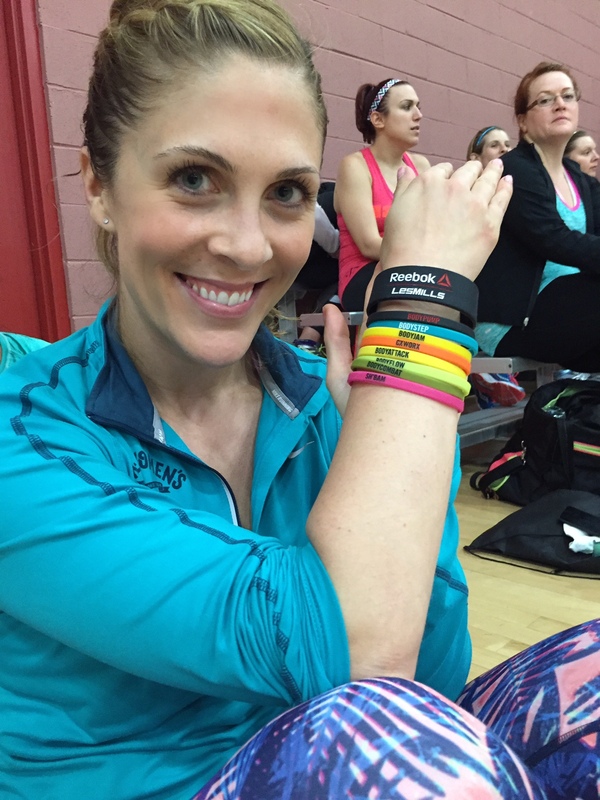 She presented on the BODYBALANCE/BODYFLOW 65 DVD!! 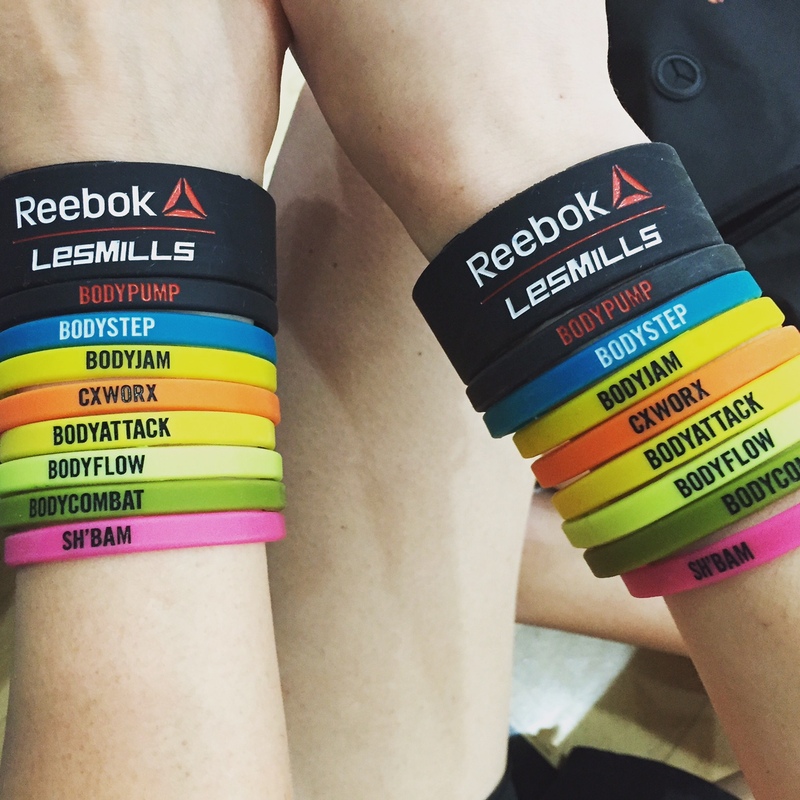 We also signed up to take BODYCOMBAT and SH’BAM, but after six classes – it was the end of the day for me. When you sign up for an event like this, you pre-register for the classes you want to take. 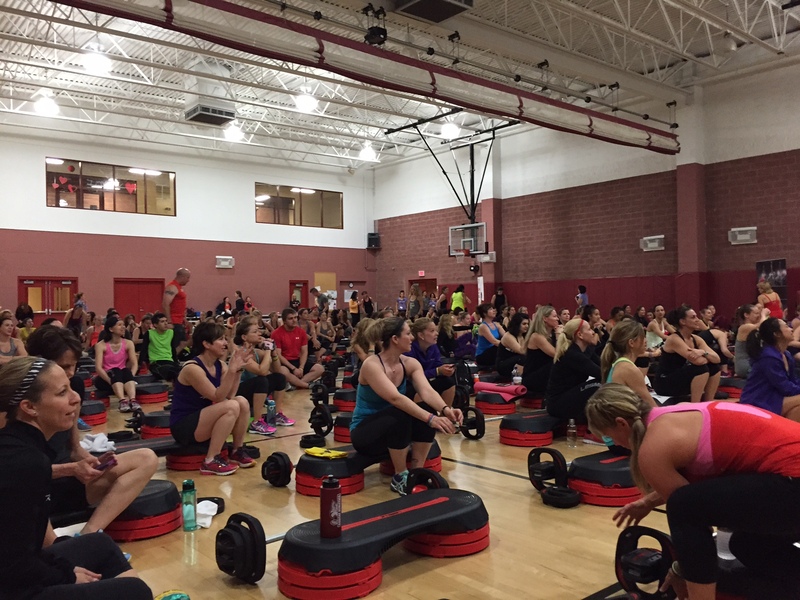 Classes with equipment (BODYPUMP, BODYSTEP, RPM) can fill up quickly. Sometimes two classes were offered at the same time. RPM and GRIT were held in a different room. Steph and I signed up for classes that were all in the large main room. 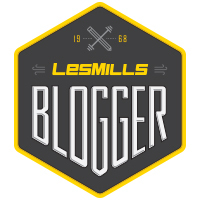 Instructors and Les Mills fans can attend an event like this! (Sweaty already from the first two classes!) We were given bracelets for the classes we signed up. This gave us access to the room. 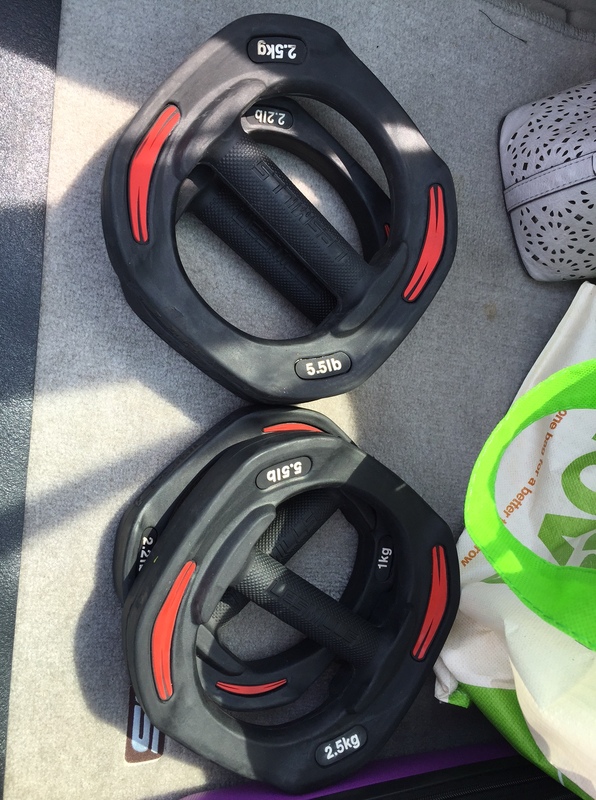 BODYPUMP 94: Great tracks and I was dying using the SMARTBAR for the chest track! Unique choreography for the warm up too! Legs were dying on lunges. 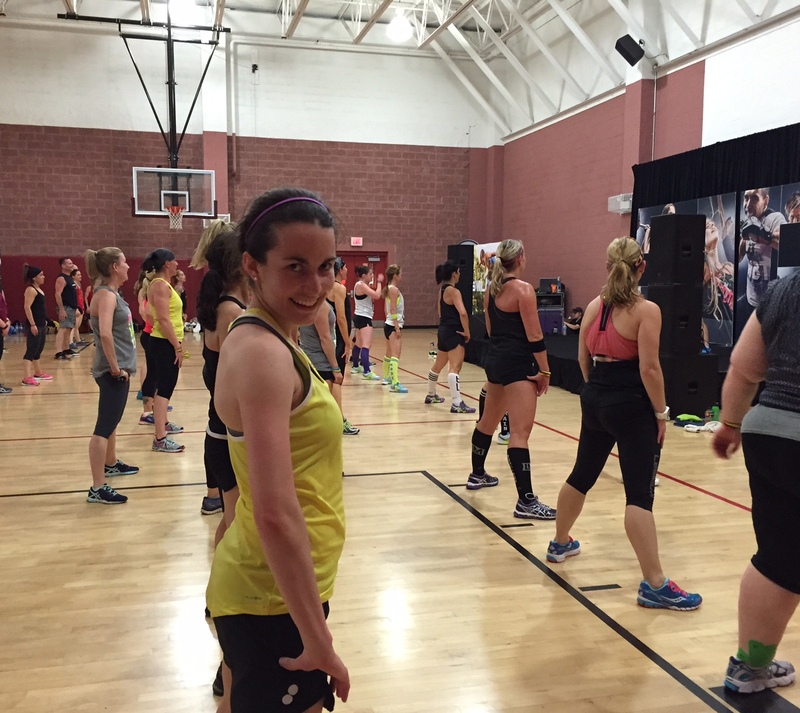 BODYSTEP 100: I’m really enjoying step and it was fun to get to do release 100! 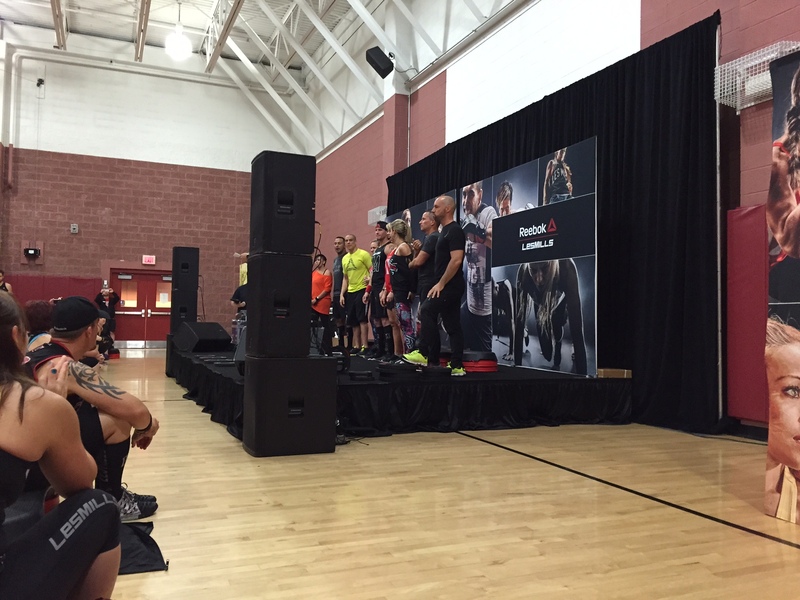 BODYJAM 73: Biggest surprise of the day for me! I LOVED THIS WORKOUT! SO MUCH FUN!! My first time taking jam!! CXWORX 19: Great plate work in tracks 3/4. Was dying using brand new tubes! 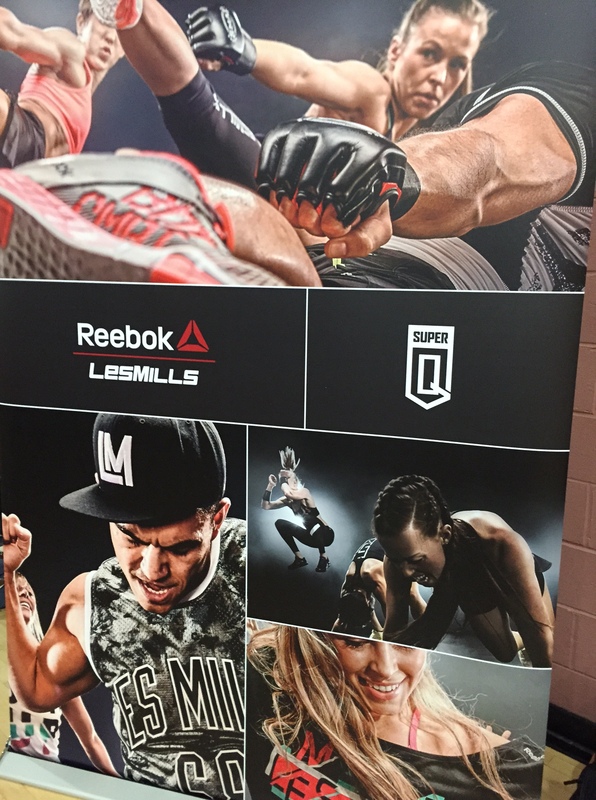 BODYATTACK 89: Very enjoyable for me, except my muscles were dead. Clap push ups!!! I took a little time off and stood off to the side to take pictures/videos! BODYFLOW 69: Already obsessed with the music. Long twist track. Gorgeous track 9 song (hamstrings/forward folds). Some challenging balance poses. Or my legs were just dead?? 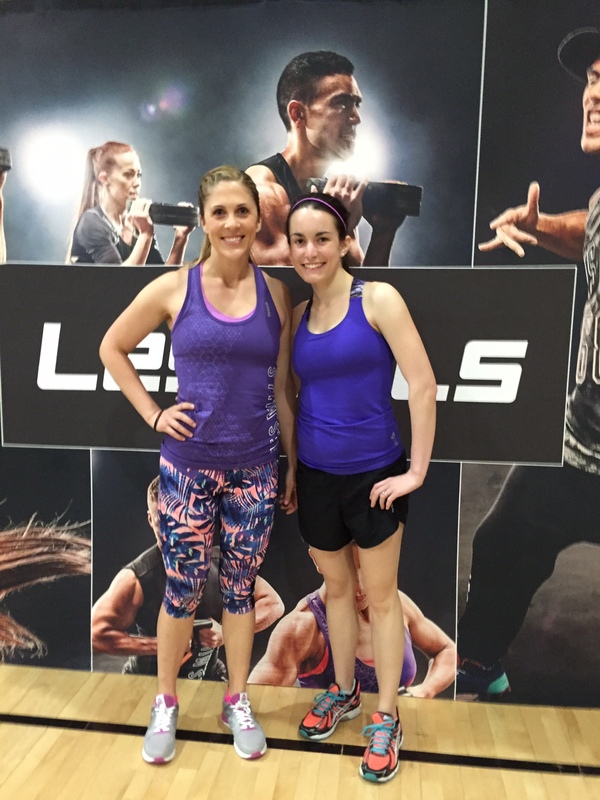 Steph and I before BODYPUMP started! Susan Laney! I was beyond thrilled she actually remembered me from my training in January. She is so kind and such an inspiration! Just love her!! CXWORX! We used brand new orange tubes. YOWZA! Tough!! You can buy most of the equipment from the event! Steph getting excited for BODYATTACK!! We were so excited that everything we did Saturday was from the new releases we get to download this Tuesday! 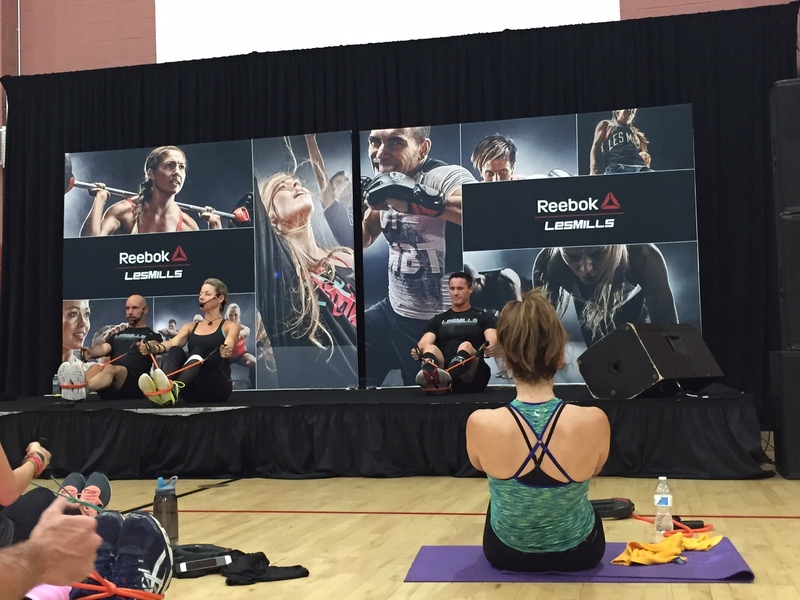 Getting focused for BODYFLOW! LOVE LOVE LOVE! THE perfect class to end with! Look what made it into my car!! I bought my very own SMARTBAR!! I was absolutely starving at the end of BODYFLOW. I left the event just before 5:00PM (we started at 7:45AM!) and found a Chick-fil-a about 2 miles away. 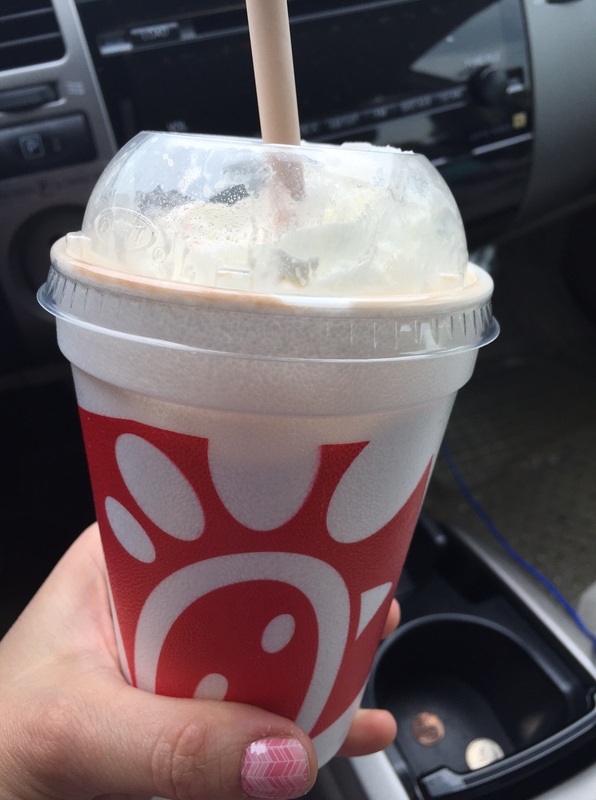 Had my first chocolate milkshake from Chick-fil-a and a cobb salad. I brought some food with me for the day (PB&J, protein bars, coconut water,etc.) but it wasn’t enough. I didn’t bring a cooler and ate most of it early in the day. I definitely needed more fuel for the day!